Is there any name that conjures such evocative pictures of smoky 1930s wrestling arenas where the giants and gorillas flung one another across the ring encouraged by the vocal masses who'd paid their 1/6 and demanded blood? Whatever the colourful description on the poster Black Butcher Johnson lived up to it. One of the legendary names in British wrestling, here was one of the great names of 1930s wrestling who's magic was destined to endure for thirty years and even become a foundation stone for Paul Lincoln Management in the early 1960s. Wrestlers who worked with him in the 1960s, when he was in his fifties, have told us of the Black Butcher magic. Without a degree in psychology here was a man who could manipulate the emotions of the crowd. One novice of the time, Bob Kirkwood, told us of his nervousness at being introduced to the great man in the dressing room. Butcher refused to discuss any aspect of their forthcoming bout but then led him through the contest and taught him how to manipulate the emotions of the crowd during their contest. On that night, remembered clearly by Bob, he learned lessons that were to serve him well for thirty years. A lean, muscular wrestler weighing around 13 stones in the 1930s Butcher had the charisma to make him a star but lacked the power to match the strong men such as Pojello, Sherry and Garnon. Not that any of that worried the fans who were always happy to turn up for the excitement of his bouts. Arthur Sylvester Howe was his name at birth,of the man the wrestling world knew only as Black Butcher Johnson. Wrestling researcher Ron Historyo provided much of the family background. Born on 31st December, 1912, Arthur's mother was Irene Howe (nee Bess). Irene was to re-marry, to Auguste Lagey in 1916 in Paddington, with whom she gave birth to another son who was also destined to become a popular wrestler of the Heritage years. Wrestling folklore has it that mother was a circus strong woman and wrestler, and whilst we have no reason for not believing this we have been unable to uncover any evidence to support the story. We do know that he was the older brother of Johnny Kwango, who started his career as Bully Johnson. The Lagey Children were Cyril J (born 1918) and Johnny (born 1920) registered along with Doris I (in 1920), indicating either twins or a fine for not registering a previous child. These were all born St Pancras. Interestingly Ron discovered that no one named Arthur Sylvester Howe was born at this time in England or Wales, and neither was there a record of Irene Bess marrying anyone called Howe in England and Wales. All this, and the absence of Irene Howe or Bess in the 1911 census, indicates that Black Butcher Johnson was born overseas. Black Butcher Johnson married Renee F Belcher in 1932 in St Pancras, a marriage which ended in divorce in 1945. Arthur Howe became Arthur Johnson (goodness knows where that name came from) and was then transformed into Black Butcher. 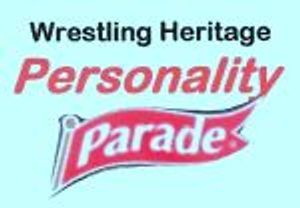 He was one of the great characters of the pre and post war wrestling scene, wrestling great names such as Carl Pojello, Jack Pye and Bert Mansfield. Butcher began his career working for Atholl Oakeley in the 1930s and was still wrestling regularly well into the 1960s. Butcher was known for his speciality, which was a ferocious savate kick that often collided with an opponents chin, resulting in a knock out. Following the Second World War Butcher's career continued with the energy of the 1930s. He made a natural transformation to the faster, acrobatic style of wrestling introduced following the war, and was signed up to work for Joint Promotions when the consortium was formed in 1952. In 1954 he defeated Norman Walsh in Aberdeen to take the World Mid heavyweight title, before losing it to Mike Demitri. Holder of the World Light heavyweight title from 11th April, 1955 (defeated Norman Walsh in Edinburgh) until February 1956 when he lost it back to Walsh. 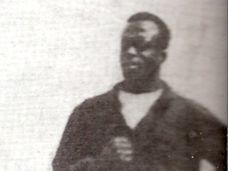 As late as 1958, in his mid forties, Butcher Johnson was still capable of defeating some of the biggest names around, as recorded by the Rushden Echo on 9th May, 1958, "Grinning cocksure 'Black Butcher' Johnson defeated South African Gerhardt De Jager with a twisted leg and arm lever submission, and an arm lever and leg lock." When Paul Lincoln Management challenged the might of Joint Promotions in the early 1960s Black Butcher Johnson was one of the veteran wrestlers he called upon to wrestle, and teach his bright young things Bob Kirkwood, Dave Larsen and Steve Haggetty. 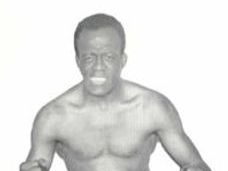 Apart from wrestling Arthur Johnson also promoted wrestling in the 1950s, under the name Ring Promotions. One of those who worked for him was Lou Ravelle, who remembers that it was on one of Arthur's shows, at Bloxwich Baths, that he turned villain for the first time, a role he went on to relish for many years. Arthur also set up a publishing company Ashowe Publications, which began publishing Combat, a boxing and wrestling magazine in 1947, until the company was dissolved in 1952. Black Butcher Johnson (Arthur Sylvester Howe) died in 1987.